MDC spokesperson Jacob Mafume scoffed at the war veterans’ proposals to raise the presidential age limit, saying it showed how much Zanu PF fears Chamisa in an electoral contest. He said although Zanu PF claims to have a two-thirds parliamentary majority, such an amendment violates peoples’ political rights in the Bill of Rights and, therefore, requires a referendum. “They are cowards, they fear Chamisa. Old men have destroyed this country and if ever there should be an amendment, it should be on an upper age limit,” Mafume said. War veterans are plotting to force the ruling Zanu PF party to make a constitutional amendment that will raise the age limit of presidential aspirants from 40 to 52 years, which would effectively block opposition leader Nelson Chamisa from contesting against President Emmerson Mnangagwa in the 2023 general elections. The MDC leader is 40; the age limit for aspirants allowed in the Constitution while Zanu PF enjoys a two-thirds majority in the Ninth Parliament after a landslide in the July 30 elections. Addressing journalists in Harare yesterday, Zimbabwe National Liberation War Veterans’ Association (ZNLWVA) secretary-general Victor Matemadanda also called on Parliament to come hard on “people who call for sanctions and economic sabotage and bar them from contesting in any election”. Matemadanda said the war veterans will use the party’s conference to be held in Esigodini next week to lobby Zanu PF to use its majority in Parliament to enact the restrictive laws. “The ZNLWVA condemns reactionary forces who go around the world asking for the extension of sanctions and calls upon the conference to ask Parliament to amend the age limit of those who can contest on the presidential election from the age of 40 to 52,” he said. Matemadanda, who is also War Veterans deputy minister, however, did not explain how the former liberation war fighters reached at the age of 52 as the threshold for maturity. After the July 30 elections, when Chamisa was challenging Mnangagwa’s electoral victory at the Constitutional Court, Buhera South legislator Joseph Chinotimba (Zanu PF) suggested the ruling party would use its two-thirds majority in Parliament to raise the presidential age limit to between 55 and 60. 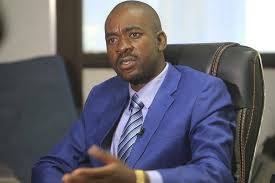 The move, although resisted by Zanu PF youths, was targeting Chamisa, who narrowly lost out to the Zanu PF leader and still contends that his “victory” was stolen by the Zimbabwe Electoral Commission (Zec), referring to Mnangagwa as an “illegitimate president”.